Certain players just look right and natural when clad in certain jerseys. Lionel Messi has two such jerseys. FC Barcelona’s and Argentina’s. Maybe it’s because we’ve seen him wear them for so long. He made his debut for Barca in 2004 and first appeared for La Albiceleste the following year. It’s inconceivable that he should wear anything else on a soccer field. It’s become hard to imagine either team without him. Yet we’ve seen a lot of Argentina without Messi in the last few years. He took a hiatus from his national team following a third straight loss in a major final in 2016, officially retiring from international soccer for a few months before returning. And he hadn’t played for his country – the nation he left for Barcelona as a 13-year-old – since the debacle at the 2018 World Cup, where Argentina barely squeaked through the group stage, only to lose to France in the round of 16 in a game that wasn’t as competitive as the 4-3 score suggested. On Friday, Messi returned in a friendly with Venezuela in Madrid. It just seemed correct. Messi in the white and baby blue. Donning the number 10. And the captain’s armband. He had even shaved off his beard for the occasion, almost as if to make a fresh start. Or a stubbly start, at any rate. Messi still has unfinished business with his nation, where he was controversial for many years on account of his failure to replicate his success with Barca. At the club level, Messi has won nine La Liga titles, four Champions Leagues and three Club World Cups. Personally, he has been crowned the world’s best player a record five times. But with Argentina, he has only an Olympic gold medal at the under-23 level and an under-20 World Cup to show for his many efforts. With Messi on the field, Argentina came second at the Copa America in 2007, 2015 and 2016 and lost the 2014 World Cup final to Germany in extra-time. 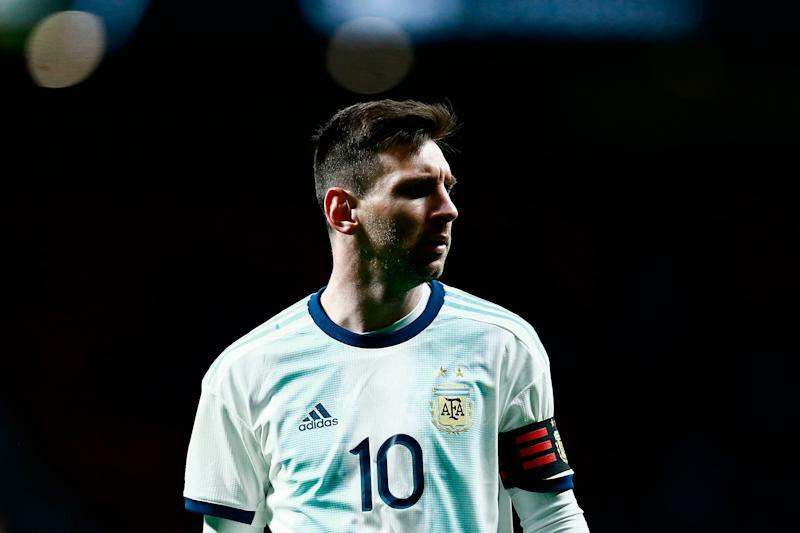 In Friday’s 3-1 loss to Venezuela, which hardly belied the action on the field, it seemed like Messi is further from his dream of winning something significant with Argentina than ever. After almost nine months away, he returned to a remade Argentina team. Messi was the only player on the 29-man roster with more than 24 caps. In fact, going into the game, his 128 caps weren’t far off the 150 all of his teammates had between them. The side is now managed by Lionel Scaloni, a former Albiceleste teammate of Messi’s, who is assisted by three more recent veterans in Pablo Aimar, Roberto Ayala and Walter Samuel. None of them had any previous managerial experience at the senior level. That’s how long Messi, a few months short of his 32nd birthday, has been around now: he’s played with all of his coaches. Most of the core that had once been built around Messi is gone or on its way out. Javier Mascherano is retired. Gonzalo Higuain, Sergio Aguero, Angel Di Maria and Ever Banega were all either injured or passed over. And alarmingly, among the younger stars, nobody out of Erik Lamela, Mauro Icardi and Paulo Dybala has lived up to his club reputation in the Argentina jersey. It's hard to see at this moment how Argentina gets back to the final of a major tournament before the Messi window shuts. Sure, it’s not been all bad. Argentina twice beat Mexico 2-0 in November. And the loss to Venezuela, not exactly a world-beater in its own right, was just one friendly loss with an experimental squad. But it also didn’t really flattered to the Venezuelans. They were better. It could have been worse. Armani saved point-blank on Darwin Machis. And Rondon missed the target with an open header from a tricky angle. This being Argentina, there will be an inquisition. There will be disarray. And a team that is already far from settled now careens into its final preparations for June’s Copa America under added pressure. Another friendly with Morocco in Tangiers follows on Tuesday. And then it’s on to Brazil for a tournament opener against Colombia on June 15. In the midst of it all stands Messi. Hanging on. For another shot at glory. To finally win something for his nation and check the last box on his resume. No matter the fast-diminishing likelihood.